Hey guys! So I could really use some help and support - if you'd be kind to help a brother out. I have decided to enter one of these fancy Mixcloud competitions. 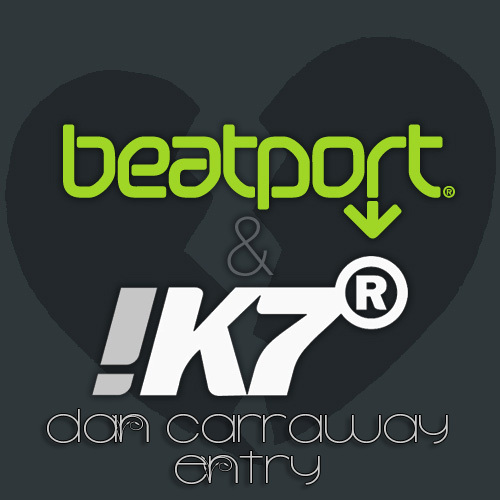 This one is being brought to us by the fantastic label behind the DJ Kicks compilations, !K7 Records and Beatport. It's being judged by the too-hot-too-trot deep house champions from Boston, Soul Clap. The theme of the mix was to make a mix-tape for the "Brokenhearted." The only deal was that the first and the last track had to be on !K7 Records. I wanted to make it feel like the different stages of a heartbreak/break up. With some initial shock joy that you get when you first think you are free! Then kind of builds into resent, and bitter drunk black outs. Then back out of it and hopefully back into something new, fresh and beautiful. So please take 30 minutes out of your (work)day to check it out. If you dig, favorite it! Leave a comment so I know how awesome you are! PS. below the mix are a couple tracks for you! This track by Ritchy Pitch is amazing, there are some solid remixes of it too, but I love the original! It's just so powerful sounding to me. I have always loved the original Wayne Wonder track, it always reminds me of senior year highschool hanging out on the beach skipping class. Productive, much? DJ Ayres does it justice on this killer Moombahton rub.